In PEMBeyond project a cost-competitive, energy-efficient and durable integrated PEMFC based power system operating on low-grade (crude) bioethanol will be developed for back-up and off-grid power generation. Back-up and off-grid power is one of the strongest early markets for fuel cell technology today. Wireless communication systems are rapidly expanding globally, and the need for reliable, cost-competitive and environmentally sustainable back-up and off-grid power is growing, especially in developing countries. Fuel cell technology has already proven to be superior to conventional technologies - diesel generators or batteries - in these applications in terms of total cost of ownership (TCO). However, the growth of the fuel cell industry in this sector has been modest at least partially due to high initial investment cost and fuel logistics problems. 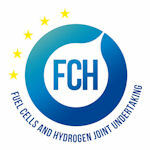 Cost-competitive PEMFC power system compatible with crude bioethanol would allow direct use of easily transported and stored, locally produced sustainable and low-emission fuel also in developing countries, further adding value and increasing the number of potential applications and end-users for fuel cell and hydrogen technology. c) Power generation in PEMFC system. Optimized overall system design combined to use of improved system components and control strategies will lead to improvements in cost, efficiency and durability throughout the complete system. Latest automotive reformate compatible PEMFC stacks will be used, possessing high potential to reducing stack manufacturing costs. On top of this, the stacks as a part of a low-grade H2 compatible fuel cell system design will allow both FC system simplifications (e.g. no cathode humidifier needed) and complete system simplifications (e.g. higher CO ppm and lower H2% allowed) leading to decreased cost. Optimizing the target H2 quality used will be a key task with the regard to overall system cost, efficiency and durability. An extensive techno-economic analysis will be carried out throughout the project to ensure attractiveness of the concept. A roadmap to volume production will be one of the main deliverables of the project. Project was started on May 1st 2014 with planned duration of three years. Total budget is 4.6 Million Euros. The research consortium coordinated by VTT Technical Research Centre of Finland consists of five European collaborators all from different countries. The project was concluded in 31st of December 2018. For a summary of results, see D1.3 in the Deliverables section. This project has received funding from the European Union’s Seventh Framework Programme for research, technological development and demonstration under grant agreement no 621218.